HOUSTON, TEXAS, UNITED STATES, June 8, 2018 /EINPresswire.com/ -- Annella Metoyer is the author of Dare to Be the Change, published in February of this year, and Stronger Than Fear, a children’s book set for release July 10th. Dare to Be the Change chronicles the adversities Annella faced as a woman and a person of color over her 40 years in the corporate banking world. 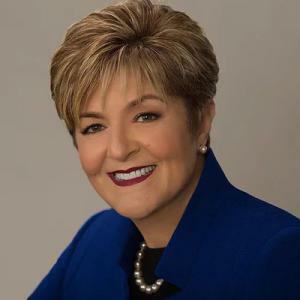 Annella says she started in banking stamping addresses on envelopes and ended her career as president for one of the top five corporate banks in the fourth-largest city in the United States. Still, Annella faced discrimination from coworkers and customers. As an executive coach, Annella incorporates her stories to help her clients understand that while they are faced with adversity, ultimately, they will emerge stronger. CUTV News Radio will feature Annella Metoyer in an interview with Jim Masters on June 12th at 12pm EDT. For more information on Annella Metoyer, visit www.annellametoyer.com. Dare to Be The Change is available on Amazon2.